Crash and the gang are back! This time they’re going to get their need for speed quenched. Crash Team Racing Nitro Fueled is a remaster of the original game that was released just over 19 years ago for the original PlayStation. We see all the gang including Crash, Coco, Doctor Neo Cortex, Doctor N. Gin, and many more. The game is developed by Beenox from the ground up and features characters from Crash Bandicoot, karts, tracks and arenas with HD graphics. Modes like Adventure, Arcade Single Race and Cup Race, Time Trials and Battle mode return. You can play by yourself or with friends offline or online. 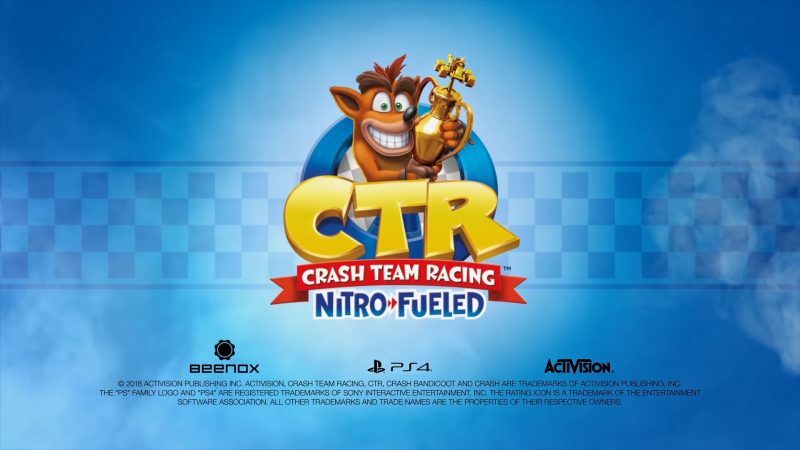 Nitros Oxide will be playable on day one in all the game modes if you get the Crash Team Racing Nitro-Fueled – Nitros Oxide Edition. Of course, the full game is included along with Oxide’s Hovercraft kart and space-themed character skins for Crash, Coco, Cortex and more. Don’t worry, you can still get the Nitros Oxide character and his Hovercraft kart if you don’t have the digital deluxe edition. The caveat? You’ll have to finish tough challenges in Adventure Mode. The game is to be released on June 21, 2019, for the PlayStation 4, Nintendo Switch, and Xbox One. Are you excited about this news? Let us know via our socials. Crash Bandicoot made its debut on the PlayStation in 1996, and last year Crash Bandicoot N. Sane Trilogy came out that included the first three Crash games. The bandicoot was also seen in Uncharted 4: A Thief’s End where Nathan Drake and Elena Fisher had a lighthearted competition to see who can get the highest score in Crash Bandicoot. With all these Crash Bandicoot remastered versions and a cameo appearance, will fans see a true sequel or reboot anytime soon? Let’s hope so. Crash Team Racing Nitro-Fueled will have to do for now. The post Crash is back with Crash Team Racing Nitro-Fueled for PS4, Xbox One and Switch appeared first on Nerd Reactor.